ePublishing Knowledge BaseePublishing Knowledge BaseePublishing Knowledge Base Common QuestionsHow do I limit spam in comments? ePublishing has developed a number of ways to decrease the amount of spam in the comments on your website. However, we can't guarantee spam will disappear completely. 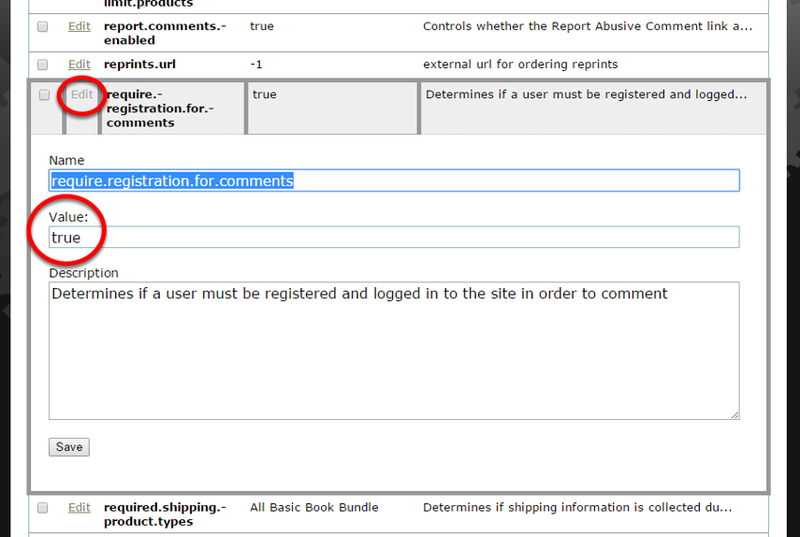 Switch the require.registration.for.comments system setting to true. Find it under System Settings under Sys Admin. Scroll down to require.registration.for.comments, and click Edit to change the value to "true." Click save. Zoom: Scroll down to require.registration.for.comments, and click Edit to change the value to &quot;true.&quot; Click save. This will bring down spam by not allowing anonymous bots to post comments. This requires your readers to register before commenting. 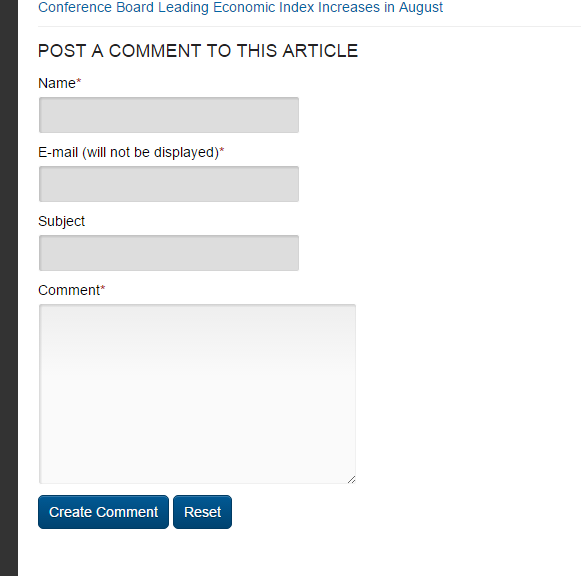 Here is an example of one website that requires registration to comment. And here's an example of a website that doesn't require registration to comment. Website design varies from website to website. Flag comments as spam in your Admin tools. There could always be the spammer that doesn't mind registering, so for those you can always flag the comments as spam in the admin tools, but don't delete them. 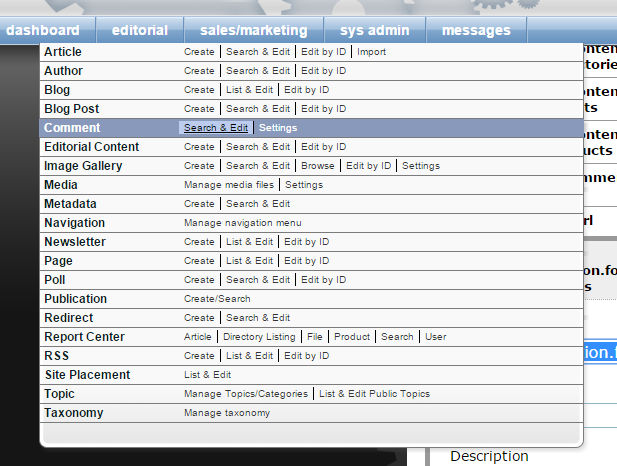 Access the Comment Manager under Editorial in your dashboard. 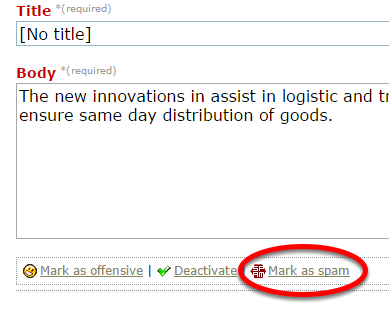 In the Comment Manager, select the comment you'd like to mark as spam. Click Mark as Spam and click Save. To have an impact on the volume of future spam on your website, do NOT delete comments that are spam. ePublishing runs a program every night that submits all comments marked as spam to akismet, a spam-filtering service. As a result, the next time the same commenter attempts to submit a similar comment, akismet will recognize it, and it will not be allowed. It may take some time, but this how we train akismet to detect spam and prevent it. Set the honeypot.threshold.score to a lower value. Access this in System Settings under Sys Admin. The honeypot.threshold.score is a measure of how the anti-spam honeypot integration should judge the IP of the commenter before considering it suspicious enough to not allow the comment. The higher the value, the more lenient it is, allowing comments from IP addresses that may have been reported as spammers. For example, if your honeypot threshold was set to 50, change it to 5 to strengthen its filter. The honeypot integration relies on a database of IPs reported all over the world. Some of these have been reported as dangerous, and some as just slightly spammy. The IPs receive a rank according to how dangerous they are considered. Setting a reasonably low value will leave most of them out. But don't set the value too low; you don't want legit commenters' being blocked. If you have questions, reach out to your ePublishing Solutions Manager. Scroll down to honeypot.threshold.score. Change the Value to reflect the leniency you want to allow on comments, and click save. The lower the score, the stricter the spam filtering. 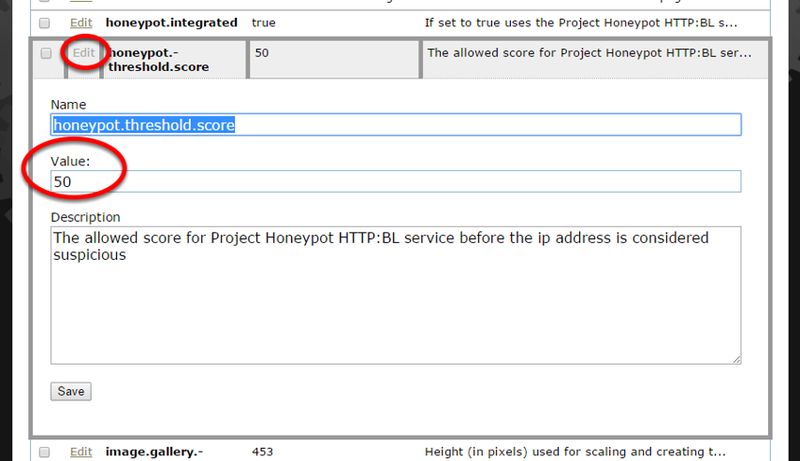 Zoom: Scroll down to honeypot.threshold.score. Change the Value to reflect the leniency you want to allow on comments, and click save. The lower the score, the stricter the spam filtering. Again, don't set the number too low; that could result in preventing legit users from commenting. If you have questions, reach out to your ePublishing Solutions Manager. Get more details on managing comments for articles and blog posts. Click to read: How do I manage comments? Prev: How are Most Popular / Most Viewed articles determined? It seems to be different from Google Analytics. Next: How do I get rid of the "overweight cart" message?